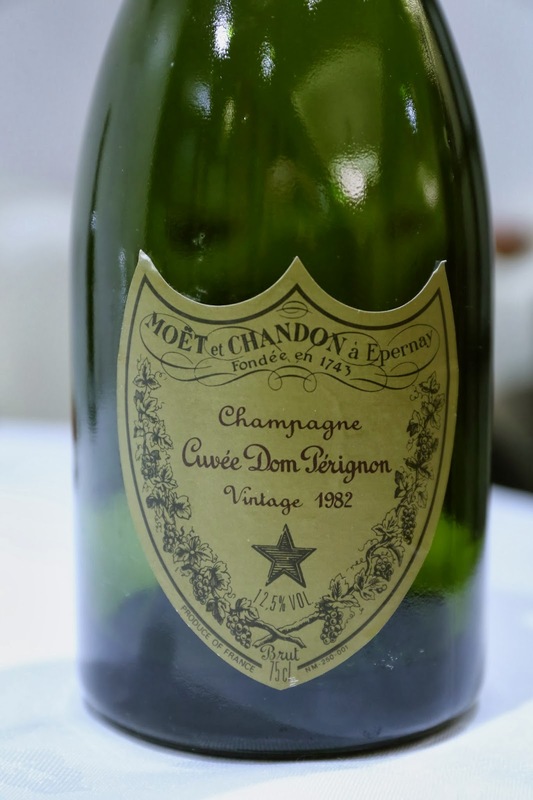 1982 Cuvée Dom Pérignon - beautiful nose of salty plum (話梅), minerals, Chinese licorice (甘草), a little nutty. First sip showed pretty high acidity, then marmalade and preserved mandarin peel (陳皮) on the palate. Just a beautiful wine! 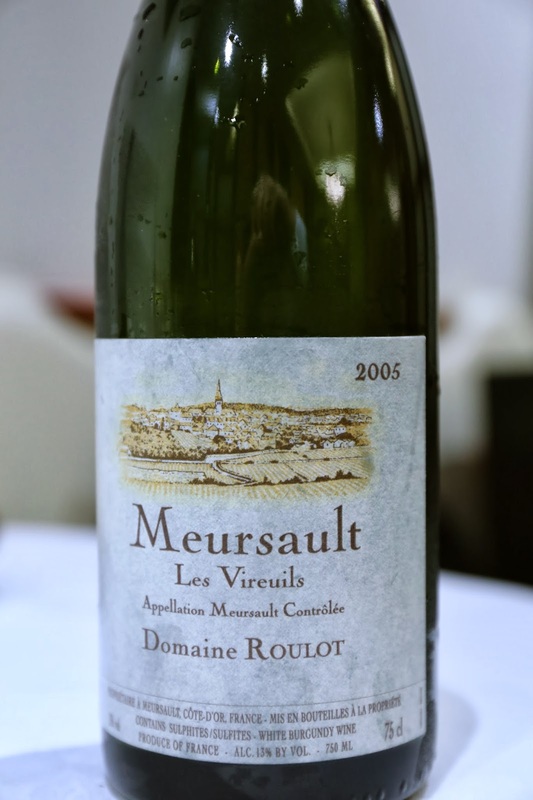 2005 Roulot Meursault Les Vireuils - flinty, very clean at first, seemingly a little mature and slightly oxidized. A little chalky and dusty suddenly. Ripe on the finish. 2012 Shäfer-Fröhlich Bockenauer Felseneck Riesling Trocken Großes Gewächs - very floral and fragrant with lychees, a little citrus, ripe and sweet. Such a wonderful Riesling. 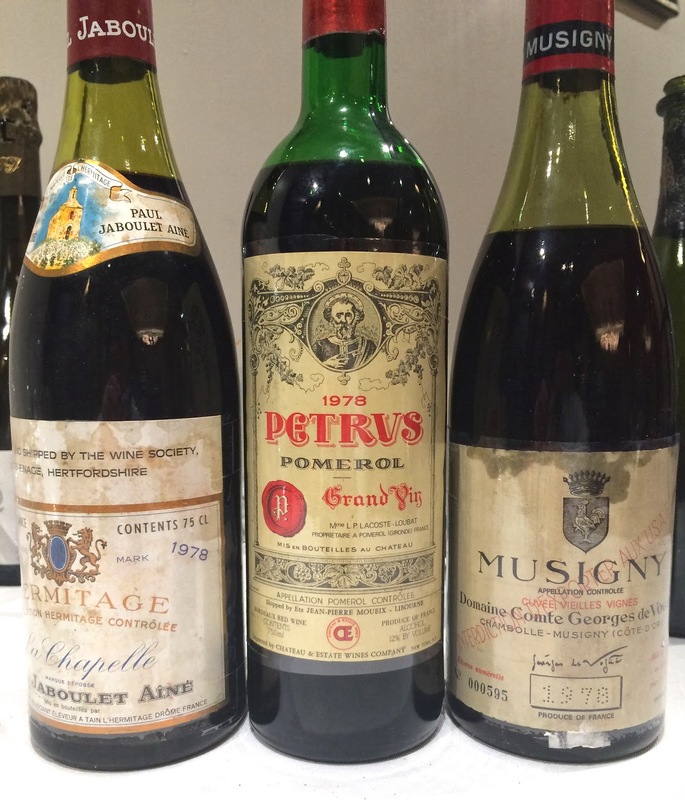 1978 Vogüé Musigny Vieilles Vignes - absolutely beautiful! Farmy nose with bacon fat, leather, plenty of sweet fruit, and a little savory black olive to add to the complexity. My favorite wine of the evening. 1978 Jaboulet La Chapelle - really open nose with leather, farmy and animal notes. Later on the nose opened up even further to reveal floral and violet notes. 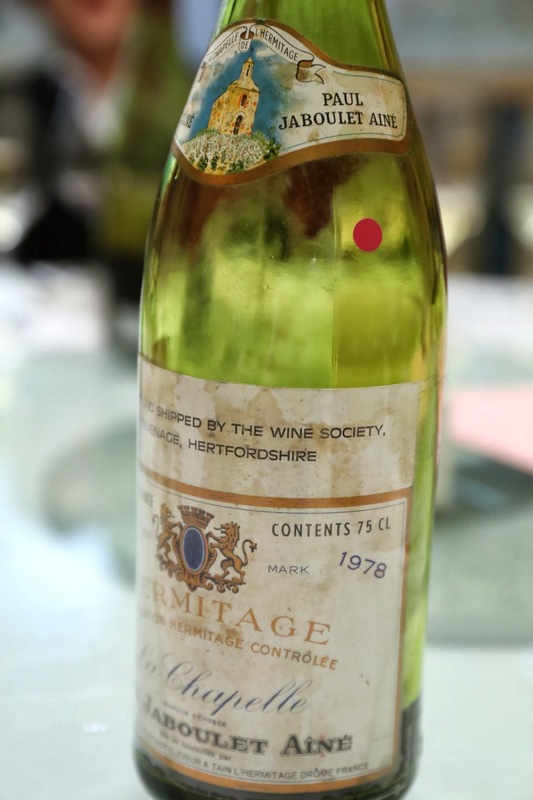 Probably the most open '78 La Chapelle I have ever tasted. 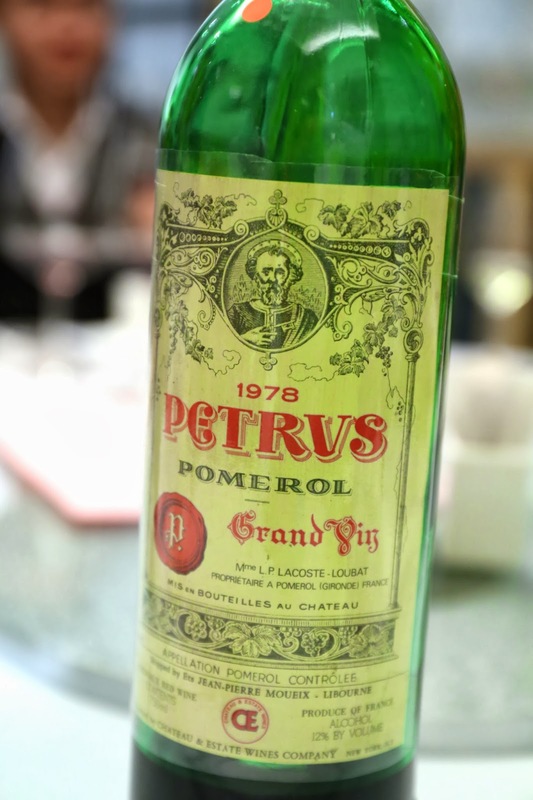 1978 Petrus - such an exotic nose, with tropical coconut butter. Smoky, a little cedar, and pretty savory. Unfortunately this wine declined a little towards the end. 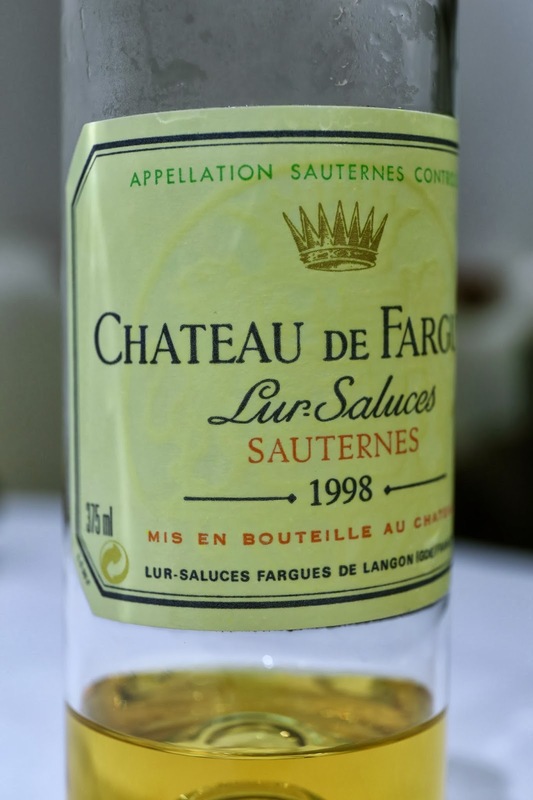 1998 Fargues en demi-bouteille - honey, apricot, beeswax, marmalade and acetone. Very nice.